Tai chi and Qigong have many forms of meditation both still and within movement to relax the mind and body, which is probably the most important thing a person can do to relieve symptoms of stress and chronic pain on many levels. Along with this is learning to training the mind in a variety of ways to move energy within the physical body. (Check out these DVDs). 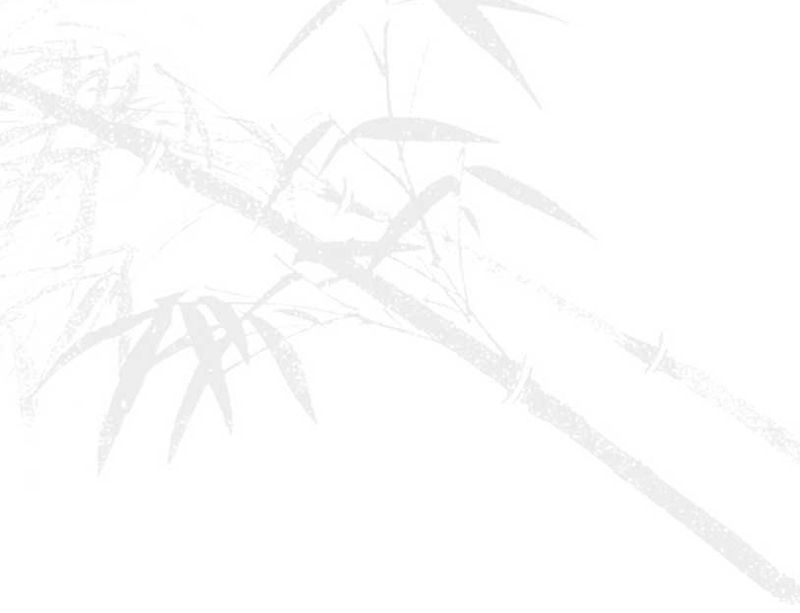 This is how Tai Chi becomes a moving meditation. The Brain Workshop™ video and the new streaming videos offered below have a wonderful non-moving meditation that guides you to fill the brain and body with energy, light and love. This visualization/meditation practice brings spiritual energy and earth energy to the heart, profoundly affects sense of well being calming the nervous system, reduces fear and anger, and trains the mind to bring healing energy to specific affected areas of the body. This practice benefits sleep and reduces stress, anxiety and depression. A new study finds that elicitation of the relaxation response (parasympathetic nervous system)-- a physiologic state of deep rest induced by practices such as meditation, deep breathing and qigong-- produces immediate changes in the expression of genes involved in immune function, energy metabolism and insulin secretion. And now scientists have shown that thoughts can change the expression of DNA in the genes that control inflammation, the same genes affected by COX2 inhibitors, NSAIDs. This affect was also associated with faster recovery from stress. Activation of the autonomic nervous system, composed of the parasympathetic and parasympathetic divisions, regulates the unconscious functions of the body minute-by-minute. This regulation is associated with the release of chemicals, hormones and neurotransmitters. The following table outlines the effects when either the parasympathetic nervous system or the sympathetic nervous system is activated. Calm down, relax, sleep. Secretion of stress hormones epinephrine and norepinephrine, that, in turn, causes an increase in cortisol. Lower blood pressure, decrease heart rate and force of contraction. Increased blood pressure, heart rate, and force of contraction. Slower breathing rate. Increased breathing rate. Increased digestion and storage of energy. Inhibit digestion. Muscle relaxation (with visualization intent.) Increased muscle tension. Three dimensional expansion/contraction is on a pure energy level. I discovered and use a great image that precisely matches my experience of my energy body. The Three Major Visualizations referenced above contain a visualization for creating energy centers along the zhong ding/chakra line. 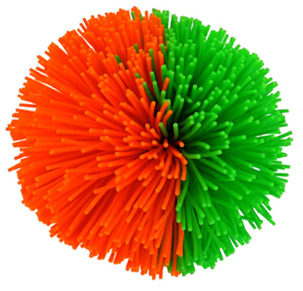 The energy centers can be thought of as being in the three-dimensional shape of a common toy called a Koosh Ball. I have found Rikka Zimmerman uses the same imagery yet takes it to another level. Other training includes abdominal "belly" breathing. QiCircles™ (pronounced 'chee' circles) are qigong movements include something like rolling a mental ball in circles in various directions in the abdomen and chest, plus self-massage, acupressure point stimulation, and other energy healing exercises. These circular movements improve blood circulation to the digestive organs, kidneys, and other abdominal organs directly and can are practiced sitting in a chair or incorporated into other movements. QiCircles™ specifically increase blood circulation to reproductive organs, bladder, prostate and change the state (tone) of the pelvic floor. These exercises can relieve incontinence and greatly improve sexual function. This is ancient training from Wu style tai chi for cultivating energy in the middle and lower dantien and kidneys. The exercises open and balance energy flow in the meridians. Likewise, they improve bone, blood and lymph circulation which boosts the immune system. Tai chi and qigong training is perfect for Seniors and persons who need to start any kind of movement at a little gentler pace. We explore the health benefits of Tai Chi and Qigong first with gentle qigong then learn gentle muscle- and tendon-strengthening movements are extremely effective in increasing mobility, flexibility, balance, coordination, and bone density without causing fatigue. Tai chi training is unique and affects the body and the brain in the following ways. First, movement with synchronicity, rhythmicity, and symmetry has been linked to brain activation during memory acquisition, states of consciousness, locomotion, neural repair, and rehabilitation. Mental practice, including visualization and movement imagery, has significance for athletic training and for treatment potential. New imaging techniques show that when you visualize going over the movement in your mind (imagery), neuronal (nerve cell) activity in the brain actually mirrors that movement. Tai chi expands this idea with many sophisticated techniques that use specific mental imagery and visualizations of energy moving during physical movement. This is the hallmark of Tai chi. The result is that the brain strives to create the mental image, not an isolated arm or leg movement. Brain Workshop™ uses Tai Chi and Qigong plus scientific principles found in neuroscience and is the most effective set of tools for rejuvenating the aging brain. Movement along with mental practice stimulates the brain and body to maintain the flexibility of youth. Movement training requires mental focus integrating psychological balance with physical balance, psychological 'centeredness' with physical centeredness, expanded consciousness with expanded energy field awareness. Balanced, integrated, left- and right-sided movement is accompanied by balanced brain activity. Such movement activates the neural circuitry of the whole brain. Balance is accomplished by using two major components of Tai Chi training: central equilibrium training, or developing a straight spine with an energetic central plumb line, and spiraling in the joints. Engaging and integrating multiple sensory systems both physically and with mind intention, wakes up the entire body and brain, and can speed up the healing process. These systems include visual, kinesthetic, the sense of gravity and position, muscle load, stretching and contracting, sensors in the skin, and the sensation of qi. Download Nutrition and the Brain pdf for more information about these key nutritional components. Tai Chi and Qigong practice seriously addresses many of the most pressing issues for a person with chronic stress and anxiety-related symptoms in a gentle and safe way. See links below for more about how mindfulness, meditation and tai chi are helping with post traumatic stress (PTSD), traumatic brain injury, veterans. Mind-Body Practices for post traumatic stress disorder. Mind-body practices are increasingly used in the treatment of PTSD and are associated with positive impacts on stress-induced illnesses such as depression and PTSD in most existing studies. Knowledge about the diverse modalities of mind-body practices may provide clinicians and patients with the opportunity to explore an individualized and effective treatment plan enhanced by mind-body interventions as part of ongoing self-care. Abdominal breathing during meditation reduces negative mood and increases alpha brain activity and blood serotonin levels. After just twenty minutes of meditation by novices, significant changes were measurable via EEG (brain waves) and infrared spectroscopy (cerebral blood flow). Qigong as a Novel Intervention for Service Members with Mild Traumatic Brain Injury.